Sure, the rest of the world celebrates Earth Day each spring, but Green Up Day is pure Green Mountain State. Since 1970, some 22,000 Vermonters each year join friends and neighbors to pick up trash in their communities on the first Saturday of May. The 48th edition has a very 2018 twist: There's a smartphone app for it. Available now for free in the Android and Apple stores, the app brings the earthy event into the 21st century, said Micah Mutrux, a volunteer with Code for BTV, a tech nonprofit that developed the program. The all-volunteer group "is geared at finding these technological problems that good community-based or government organizations are sort of struggling with and coordinating some volunteer energy around getting a good solution for those things," he said. 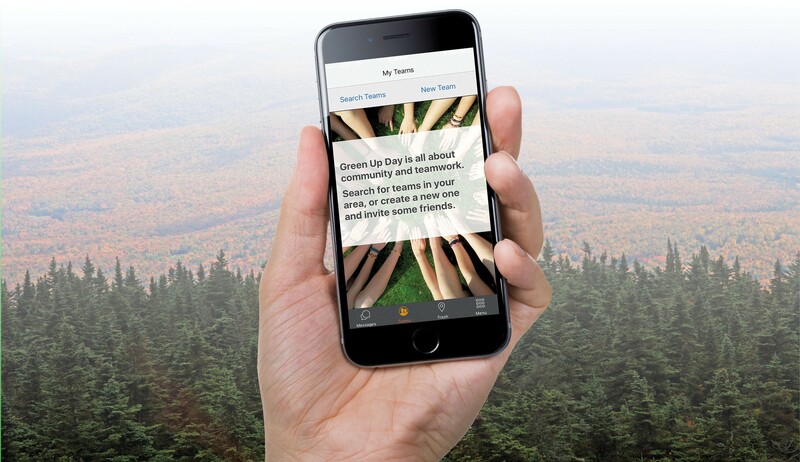 Green Up Day was a prime example of that, according to Mutrux: The event is extremely successful each year, but has some "decentralized aspects" that the app improves. Volunteers across the state can join or create teams, learn where litter has already been picked up, and find bag pickup and drop-off locations — all in real time. About a dozen teams have already signed up to use the app, which Code for BTV plans to officially launch with a party Thursday at the South End Arts and Business Association gallery in Burlington. Work on the app began last summer, Mutrux said, with some help from Essex High School students. All told, about 20 people volunteered more than 1,000 hours to create the app, which Mutrux cautioned is in its beta stage. For instance, there is no offline version, so users without cell service won't be able to log in. Mutrux expects to fix that by next year and welcomes any feedback. "We'll make this thing gorgeous — for next year," he said. "This year, we're going to get a lot of learning from whoever uses it and keep building things in the interim." The original print version of this article was headlined "Screen Up Day"